If you’re looking for information about the Myakka State Park Boat Tours you have come to the right place. Here you will find out about the differences between the old and the new boat tour, times, prices, and more. Pontoon boat property of the National and State Park Concessions Inc., and tourgoers spotting an American Alligator. What’s the difference between the Old and New Myakka State Park Boat Tours? If you have visited Myakka State Park before (officially named Myakka River State Park), you might be surprised to find out the ‘Myakka Maiden,’ and the ‘Gator Gal’ airboats aren’t cruising Upper Myakka Lake anymore. In August of 2018, a new vendor, the National and State Park Concessions Inc. took charge of the boat tours. It was ‘the talk of the town’ for a while, but right now most locals are resigned, and visitors have given the new tour a chance. Having gone in both tours, I can say they are similar, except for the speed and capacity. The new boat ride is still slow, but not as slow as the airboat. The boat capacity has also increased. As of now, a Pontoon boat is being used, but that might change sooner than later according to our tour guide. 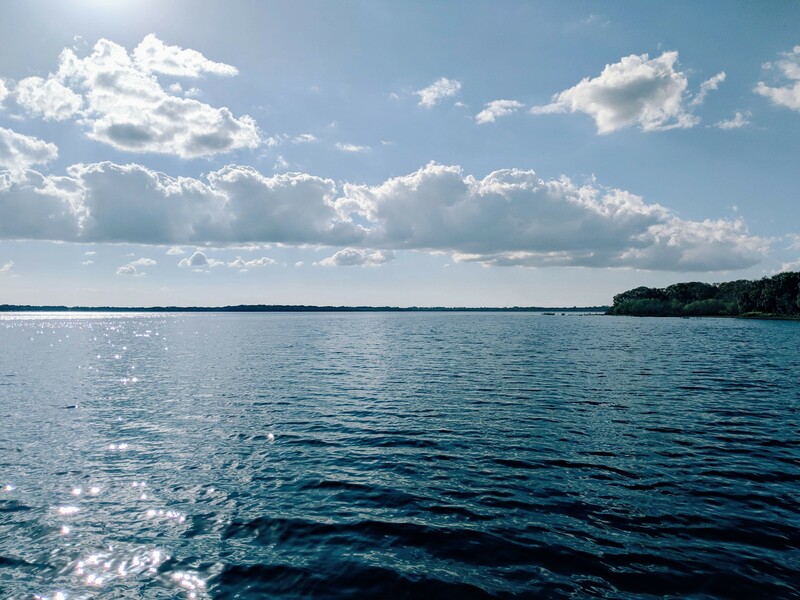 Where can you buy tickets for the Myakka State Park Boat Tour? When you enter Myakka State Park, you are given a map. This map has marked where the boat tour area is. But, if you need it, here are the exact coordinates. What are the times for the Myakka State Park Boat Tours? The times for the Myakka State Park, Boat Tours are 9:00 AM, 11:00 AM, 1:00 PM, 3:00 PM, and 5:00 PM. Tip: If you have a time in mind, I would recommend that at the latest you get your tickets 2 to 3 hours before departure. At least during high season, which is winter, most tours end up being sold out. 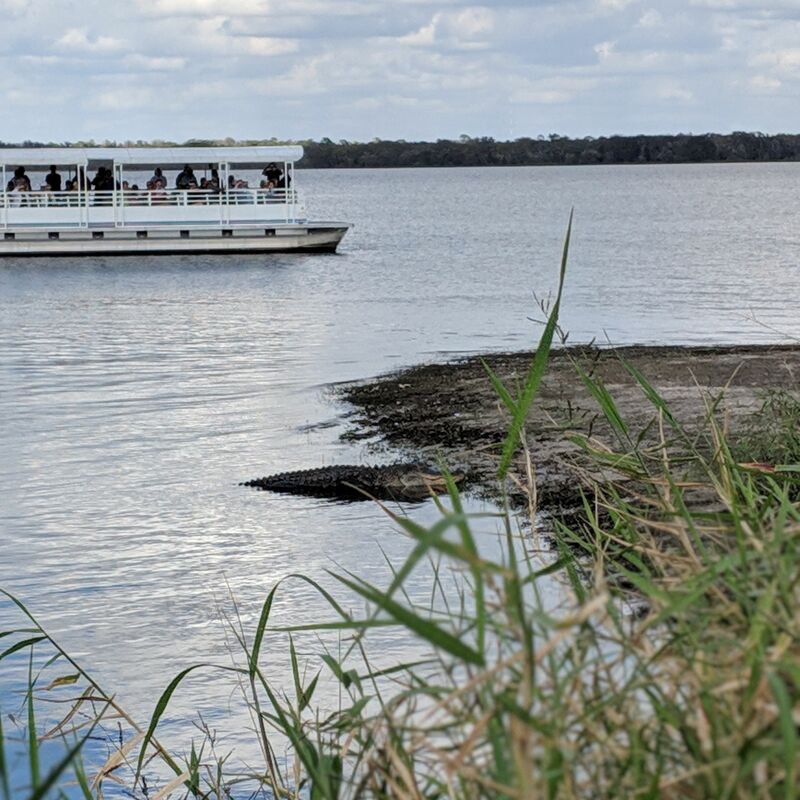 What are the prices for the Myakka State Park Boat Tours? 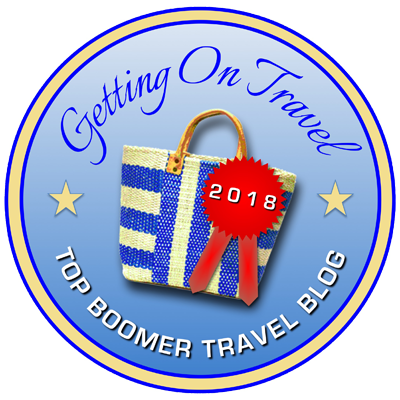 How long are the boat tours at Myakka State Park? Taking into account that you should be at the meeting point 15 minutes before the scheduled time, the boat tour will take about 1 hour and 15 minutes of your day. 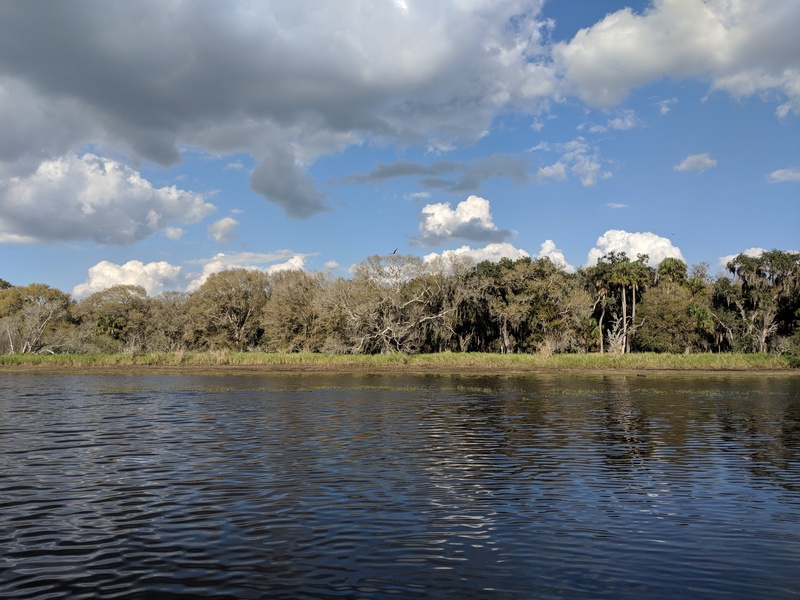 What to expect from the Myakka State Park Boat Tours? 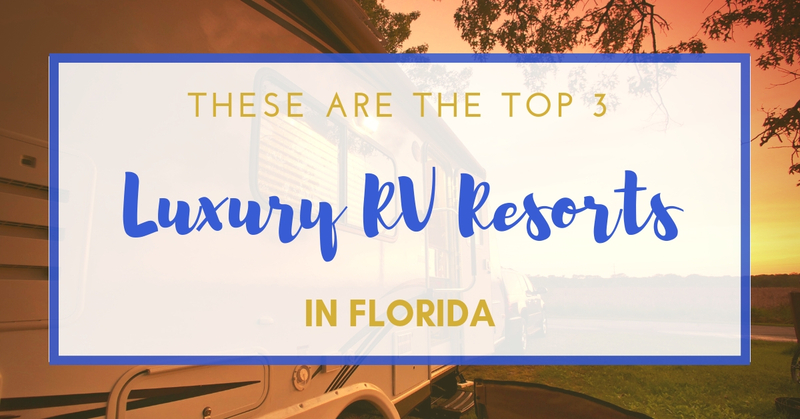 As one of the tour guides said: “animals are not on the payroll so you can’t expect them to show up at all times.” On a good day, you should be able to see some alligators, birds, and learn about the park and its flora and fauna in an engaging way. Myakka River State Park Flora and Fauna can be seen from the Myakka River Boat Tours. For more information about the park, please read Walking Through Myakka State Park (And Its Canopy Walkway). *Times and prices were current at the time of publishing this article. Prices and times could be changed at any moment at the discretion of the vendor. 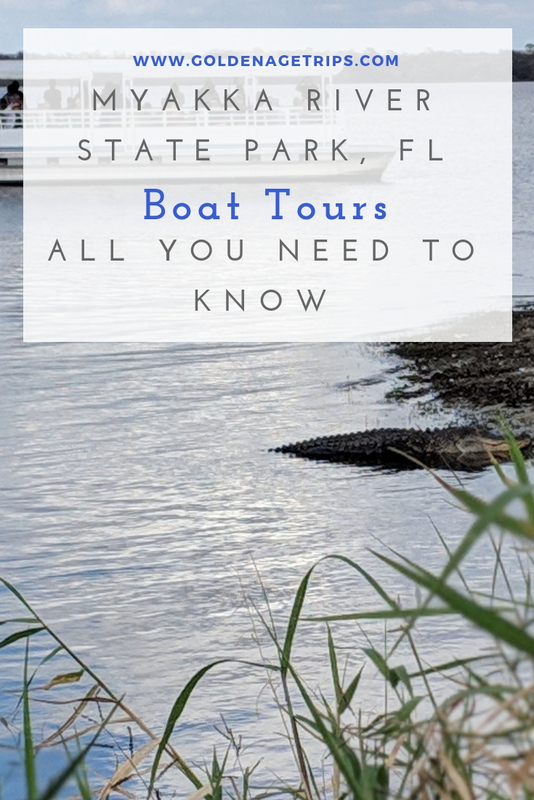 Don’t forget to Share & Pin Myakka State Park Boat Tours – All You Need to Know.